We are excited to provide you the first of our monthly newsletters providing updates on projects and events on Tetiaroa. As you will note below, the whales are back (don't miss the video!) and our conservation and education programs are in full swing. 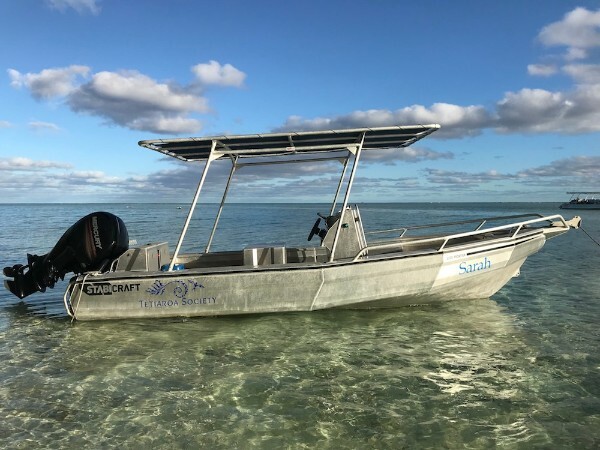 And this month we are especially excited and thankful to have a new boat to assist with research projects as a result of a generous donation from the Ludwick Family Foundation. We hope our newsletters provide you a welcome break during your busy days. The Humpback Whales Have Returned! On June 28th we had our first humpback whale sightings off Motu Aie on the east side of Tetiaroa. Every year, these cetaceans evoke a mix of feelings among Polynesians, varying from excitement to fear; from insignificance, in the presence of giants, to a sense of privilege to be before such beauty. 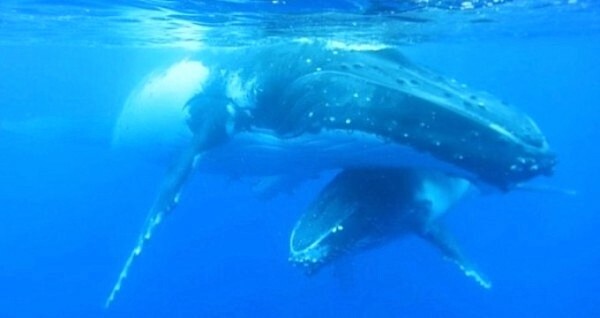 These southern humpbacks are highly revered in Polynesian myths and legends and throughout Polynesia today. Despite their phenomenal strength, they are peaceful animals and only prey on a microscopic crustaceans called krill. Our Habitat Restoration Project has been selected as our top priority conservation project for 2018. 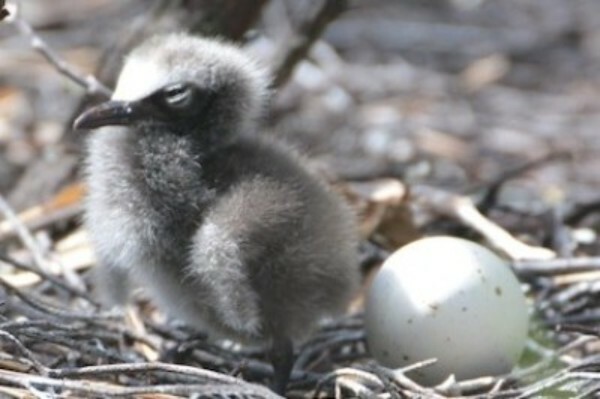 This project, involving the eradication of invasive rats that predate on baby birds and turtles, will have a profound impact on Tetiaroa as a sanctuary for marine birds, turtles and other native species. Every Tetiaroa Society project is designed to help inform and establishing models for other research and conservation projects around the world. Our Habitat Restoration Project is no different. Scientists will be monitoring and conducting experiments as a core part of this project. Our Education Program is off to a great start, with 140 school children visiting us in recent months. Most of these children are from elementary and junior high schools in Arue on the island of Tahiti. In the coming months we will welcome one class per month for a visit of 4-5 days. The program has been very well received by the local community, and we have already received applications from many schools throughout Tahiti. We are delighted to have received our new boat which we were able to purchase with a generous donation from the Ludwick Family Foundation. This boat will greatly facilitate our scientific research, conservation and education programs for many years to come. A very special thanks to the Ludwick family! 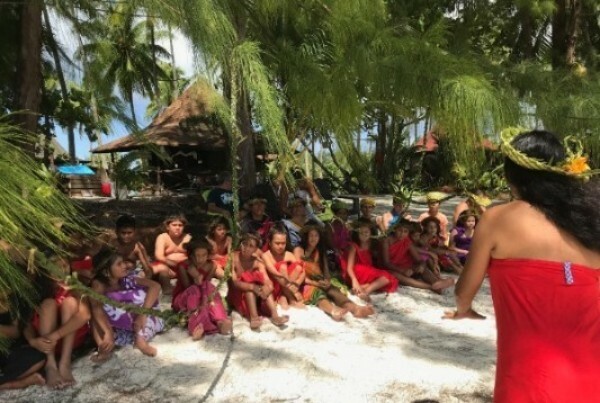 Tetiaroa Society receives generous support from The Brando for our core operations, but our ability to carry out innovative programs depends on your help -- any amount is appreciated! Tetiaroa Society offers a variety of amazing nature and culture tours for guests of The Brando resort. If you are visiting The Brando during July to November, when Humpback whales are migrating through French Polynesia, our Whale Watching Tour is a must. Watching these majestic creatures in the natural habitat is among the most exciting and memorable experiences you can have. If you want to get a sense of this experience, check out the video below of a recent guest experience with a whale which was taken by our head guide Aeata Richerd. Aeata said that the mother and calf were very calm, which allowed the guests to get into the water with her. The calf was very friendly and swam towards them, and a male sang in the background non-stop for 14 minutes!